1967 Malco map from David Aldred. 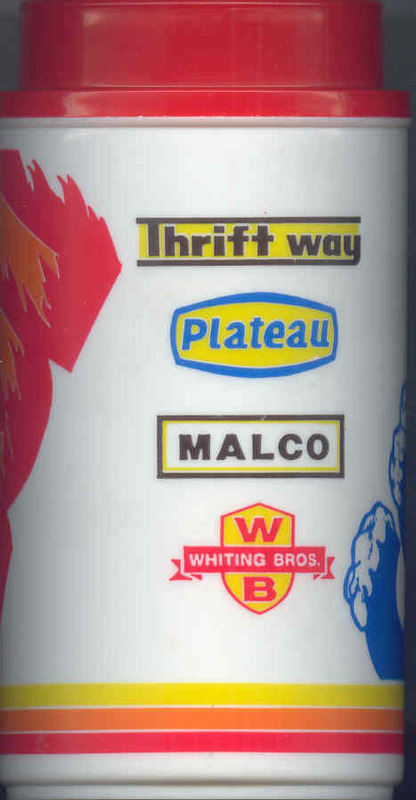 1990 vintage Mug showing Malco and some other brands. From David Aldred. 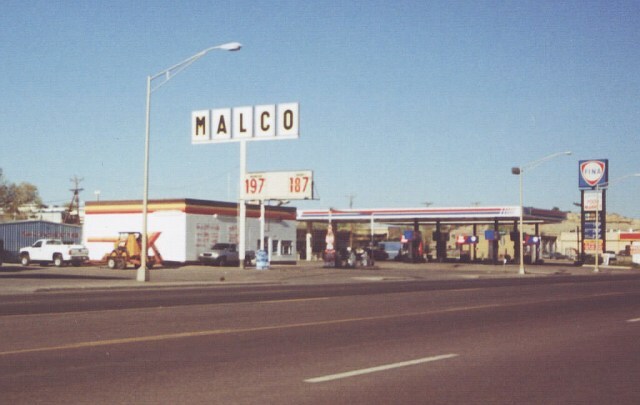 A three-pump Malco station in Gallup, New Mexico on old Route 66. This must be one of the last. 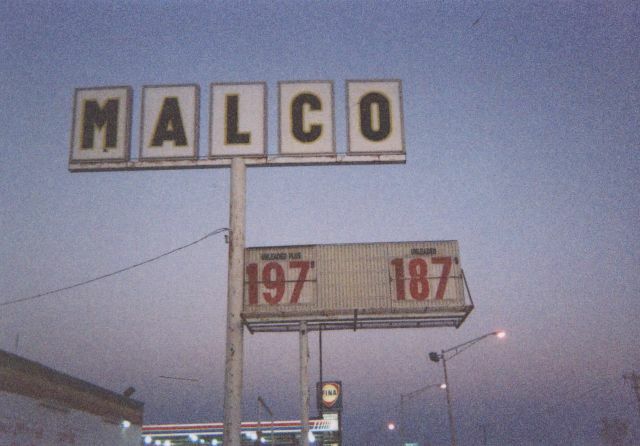 Taken May, 2004 by David Aldred. Note: David later talked to the manager who stated they were independent. 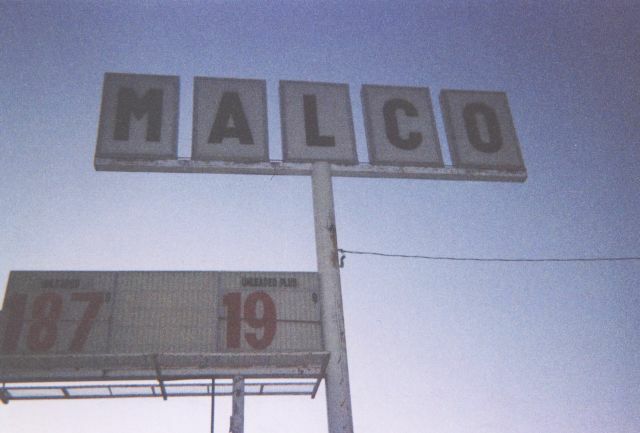 Close-ups of both sides of the sign at the above Gallup, NM site. The same station as above, taken in 1997 by Ian Byrne. 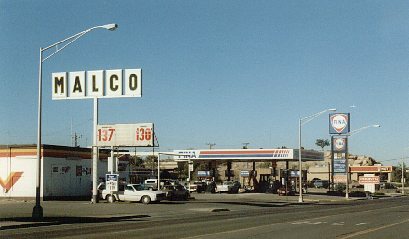 This is the same station as above, taken in 1994 by Walt Wimer. 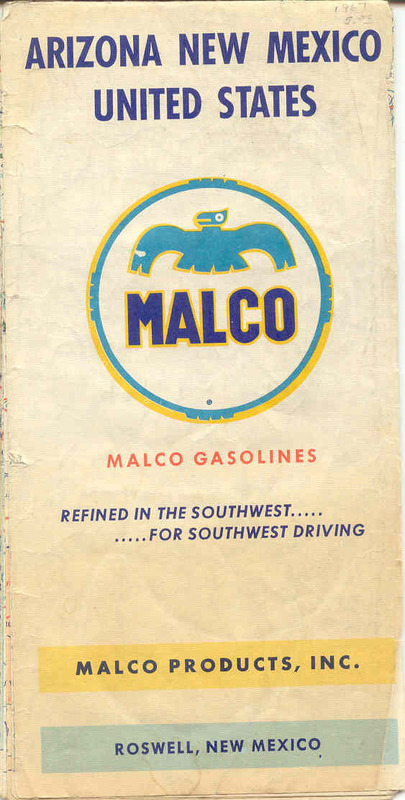 gasoline refining and marketing and I think that is when Thriftway took over the two brands. Route 66. 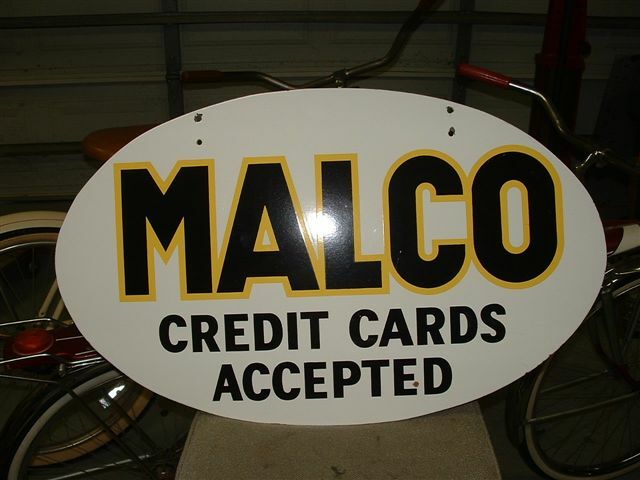 Malco also had two "secondary" brands, at least before Conoco took them over. 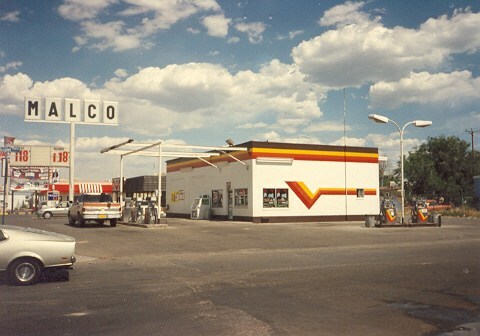 in 1958-59 and none of them had anything in the way of branding except for the pump globes. I was not able to come up with any during my travels and have not seen such since.